Motorbike batteries Online. 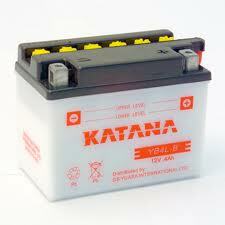 Yuasa, Deka, Katana replacement batteries. Motobike battery shop. Free Delivery or Store Pickup on all Dry Sealed Deka & Yuasa YTZ AGM batteries. Store Pickup only on all Wet lead-acid batteries. Low prices, free testing & re-cycling in-Store. Free Delivery on all Deka AGM. Free Delivery on All Yuasa YTZ AGM. Wet Lead Acid Yuasa are Store Pickup Only. All Katana are Store Pickup Only. The Deka Powersports AGM range is the ultimate for high-performance bikes and watercraft. Standard fitting (in a different colour) on a Harley. Huge power, holds its charge well and can't spill. Completely dry so delivery or store collection is available. More... Yuasa YTZ batteries are dry, ultra-premium Maintenance Free AGM batteries. Very high power output and long life. Not the cheapest but possibly the best! Completely dry so delivery or store collection is available. More... Japanese premium quality, Maintenance Free. 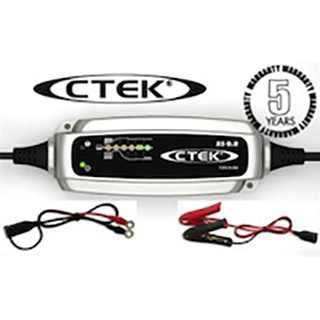 Provides high power output and long life. Typically twice the price of the standard Katana battery, but with power and performance that is hard to beat in a wet lead-acid battery. Not available for home delivery out as it is filled with acid at the time of purchase. More... Imported to Australia by Century Yuasa, from factories which they approve and monitor for Quality control. The Katana range is the Standard fitment in many motorbikes and is great value for money - from $28 in-Store. Not available for home delivery as it is filled with acid only at the time of purchase. Call us if you need help finding the right battery or try this link. For Cars, MotorBikes, Water-craft and lawnmowers etc., these will pay for themselves in extending the life of your battery. If you can't use a trickle charger or are likely to forget to use one then buy a Deka (they have much lower self discharge than standard batteries) or a Yuasa AGM (YTZ range). Note that all of our battery chargers are fully automatic (allowing you to leave them connected to the battery without fear of over-charging). 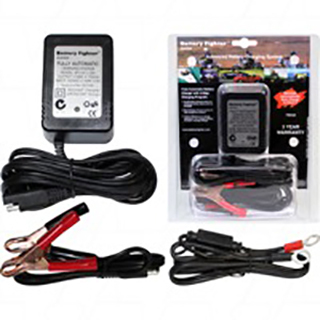 These can extend the life of your battery significantly by avoiding the sulphation problem which is an issue for most starting batteries that are left for any period of time without charging. 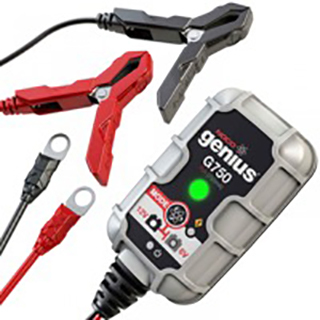 The rule of thumb for Automotive and bike batteries is to choose a charger capable of delivering around 10% of the batteries Amp-hour rating, so for example a large-size bike battery with a 20 Amp-hour "equivalent" battery it should be charged via a 2 Amp charger or thereabouts. Don't leave a bike battery connected to a 10Amp car charger for example, unless you like boiling batteries (or unless the charger has a setting for bikes and an automatic cut-off that you know works with small batteries...).